Do you remember our 81st article from http://aljumaareminder.com/reminder/miracle-in-the-quran-hearts-think-and-record-date-11th-september-2015-26th-or-27th-dhul-al-qada-1436/? We decided to provide more details on the heart this week too. Did you know…that your heart emits electromagnetic fields that change according to your emotions? Did you know…the human heart’s magnetic field can be measured up to several feet away from the body? Did you know…that positive emotions create physiological benefits in your body? Did you know…that you can boost your immune system by conjuring positive emotions? Did you know…that negative emotions can create a nervous system chaos, but positive emotions do the opposite? Did you know…that the hearts has a system of neurons that have both short and long-term memory, and their signals sent to the brain can affect our emotional experiences? Did you know…in fetal development, the heart forms and starts beating before the brain is developed? Did you know…a mother’s brainwaves can synchronize to her baby’s heartbeats? Did you know…the heart sends more information to the brain than vice versa? Did you know…that positive emotions help the brain in creativity and innovative problem solving? Did you know…positive emotions can increase the brain’s ability to make good decisions? The heart is the most powerful source of electromagnetic energy in the human body, producing the largest rhythmic electromagnetic field of any of the body’s organs. The heart’s electrical field is about 60 times greater in amplitude than the electrical activity generated by the brain. This field, measured in the form of an electrocardiogram (ECG), can be detected anywhere on the surface of the body. Furthermore, the magnetic field produced by the heart is more than 100 times greater in strength than the field generated by the brain and can be detected up to 3 feet away from the body, in all directions, using SQUID-based magnetometers (Figure 6.1). 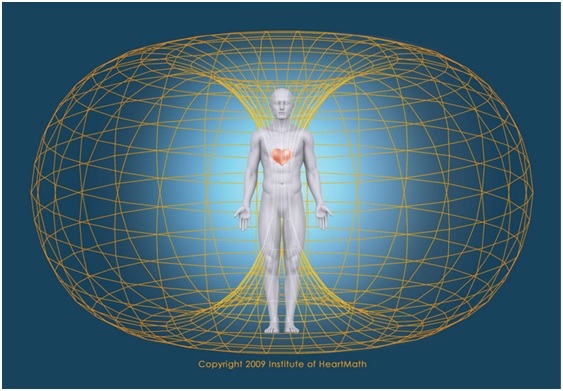 Figure 6.1.The heart’s magnetic field, which is the strongest rhythmic field produced by the human body, not only envelops every cell of the body, but also extends out in all directions into the space around us. The heart’s magnetic field can be measured several feet away from the body by sensitive magnetometers. Research conducted at HMI suggests the heart’s field is an important carrier of information. Prompted by our findings that the timing between pulses of the heart’s magnetic field is modulated by different emotional states, we have performed several studies that show the magnetic signals generated by the heart have the capacity to affect individuals around us. We also have shown in our laboratory that the electromagnetic field of an individual’s heart can be detected by nearby animals or the nervous systems of other people. The situations where herbivores (eg deer) can leisurely pass by satisfied carnivore (eg lion) after a meal know that the lion’s “intention” is already not directed at them. Even in our society; there are animals that do not run away at all when a person passes by while in thought or texting. Likewise, there exist animals that forget their vigilance against and approach a human who is directing his attention to something else. When all kinds of “intent”, such as “caution” , “hostility”, and “intent to kill”, is directed; wildlife reacts sensitively (eg. Fly away or run away). If you remember our 123rd article from http://aljumaareminder.com/reminder/123-iarlg-two-things-you-might-have-not-known-about-electricity-date-1st-july-2016-25th-or-26th-ramadan-1437/ then you will remember how we mentioned facts about electricity and how advanced ancient Egypt was. Well do you know that the ancient Egyptians believed/knew that the heart, rather than the brain, was the source of human wisdom, as well as emotions, memory, the soul and the personality itself. For this reason it was considered the most important of the body’s organs. The heart was one of the only organs not removed from the body during mummification. For Muslims; all this information is not new as we have been informed about the importance of the heart many times via the Quran and Sunnah. Just pounder on the many generations who died before and ignored Allah’s Revelations by believing that the brain is the king organ? Are they considered wise? Of course not. But the people who believed in the Allah’s Revelations and believed that the heart is the king organ are now admired even more. Also remember that we use the Quran and Sunnah to check the authenticity of what has been researched and not vice versa.